Our dream has always been to inspire people with our furniture. To offer that little something extra that elevates design from the ordinary to the extraordinary. We value the time we spend together as a family and the special atmosphere that good design, with every detail in harmony, helps to create. 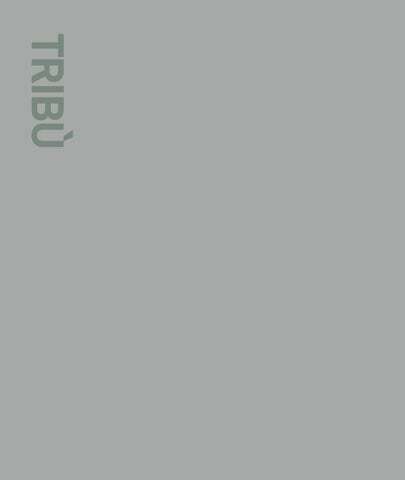 Today TribĂš is one of the oldest fully family-owned manufacturers of high-end outdoor furniture in the world. Our independence gives us the freedom to pursue our own strategy. As innovators, it is our passion to develop beautiful and timeless outdoor furniture that meet demanding standards, creating places to relax and leave the daily stress behind. We hope to inspire you with this catalogue and our furniture. Love it, live it, share it! Curl up and relax on the modular Senja sofa. Combine a one-, two- or three-seater module with high or low arms and keep everything you need to hand with an integrated table, console or side table in teak or glazed lava stone. With a choice of two seat depths and numerous weather-resistant fabrics, Senja lets you create the sofa you want, tailored to your personal style. SENJA SOFA SET 19 WITH COFFEE TABLE IN TEAK. CUSHIONS IN LINEN, DECO CAMDEN MANDARIN, CAMDEN CARMINE RED, RUSTIC WEAVE BROWN. NOMAD EASY CHAIRS, CUSHIONS IN LINEN CLAY. ROOTS. OUTDOOR RUG IN WENGÃ&#x2030;. MADAME CACHET LAMPS 40 & 50CM IN BRICK. SENJA SOFA SET 19 WITH COFFEE TABLE & MERIDIENNE RIGHT WITH SIDE TABLE IN TEAK. CUSHIONS IN LINEN, DECO CAMDEN MANDARIN, CAMDEN CARMINE RED, RUSTIC WEAVE BROWN & RUSTIC WEAVE CORD. HEXAGON LOW & HIGH WITH LINEN TOP. NOMAD EASY CHAIRS WITH CUSHION IN RUSTIC WEAVE CORD. OUTDOOR RUG IN WENGÃ&#x2030;. The elegant Tao table collection is a lesson in perfectly balanced contrasts â&#x20AC;&#x201C; bold sculptural pedestals and slim table tops that are pleasing to the touch. The use of refined lightened concrete gives the tables a look of elegant solidity. The Tao tables come in natural linen and warm wengĂŠ tones to create striking centrepieces for any setting. TAO DINING TABLE Ø 160CM IN WENGÉ. TOSCA ARMCHAIRS IN WENGÉ, CUSHIONS IN RUSTIC WEAVE CORD. The CTR collection is characterized by a tube in powdercoated stainless steel that follows its outline in one continuous line. With a lightness of touch the open weave of the backrest appears to float unsuspended around the upholstered seat. The CTR collection is a complex design created with an effortless, relaxed style. CTR ARMCHAIRS IN WHITE/LINEN, CUSHIONS IN WASHED LINEN. ILLUM DINING TABLE 267X100CM IN WHITE/LINEN TOP. CTR MERIDIENNES AND SOFA 156CM IN WHITE/LINEN, CUSHIONS IN LINEN OYSTER. Light and airy, the Nodi chairâ&#x20AC;&#x2122;s form and silhouette are characterized by twisted-interlaced rope in weather resistant CanaxÂŽ, stretched across a precise geometric wireframe. Pared back, refined proportions and a minimalist approach to materiality lend a casual lightness to the collection. The slim profile of the arm is angled slightly inward in a welcoming gesture. NODI ARMCHAIRS IN WHITE/LINEN-OFF-WHITE, CUSHIONS IN REVERSED DOTS GREY. NOX TABLE 352X100CM IN WHITE/GLAZED LINEN TOP. NODI EASY CHAIRS IN WENGÃ&#x2030;/LINEN, CUSHIONS IN LINEN GREY. Regista is a sophisticated reinvention of a design icon. The perfectly balanced directorâ&#x20AC;&#x2122;s chair combines high-tech materials and meticulous attention to detail. The lattice back has the natural look and tactile appeal of rope. It is handwoven using an innovative weather-resistant fibre, also used to cover the armrests. The legs are slim and elegant, yet very durable and strong. REGISTA EASY CHAIRS IN WHITE/LINEN WITH ASHE SEAT. TOSCA SOFA 163CM IN LINEN, CUSHIONS IN LINEN. T-TABLE Ã&#x2DC;90CM H67CM IN LINEN/GLAZED LINEN TOP. REGISTA ARMCHAIRS IN WHITE/LINEN WITH ASHE SEAT. NOX DINING TABLE 352X99CM IN WHITE/LINEN GLAZED TOP. MONSIEUR LEBONNET Ø 60CM & MADAME CACHET Ø 30 & 40CM LAMPS IN WHITE & LINEN. Tosca is the perfect mix of innovation and beauty, a collection as inviting to curl up in as it is intriguing to look at. The giant weave in hi-tech â&#x20AC;&#x2DC;knittingâ&#x20AC;&#x2122;, soft to the touch and completely weather-resistant, is complimented by slim legs in powdercoated stainless steel. The soft, tonal contrasts between weave and frame adds to the discreet luxury. OUTDOOR RUG IN WENGÉ 250X350CM. TOSCA DAYBEDS IN LINEN, CUSHIONS IN TWIST LINEN, DECO IN LUXURY BLUE & RUSTIC WEAVE CORD. TOSCA CLUB CHAIR & DAYBED IN WENGÉ, CUSHIONS IN REVERSED DOTS MOSS, DECO IN VELVET MOSS & LINEN OYSTER. TOSCA SIDE TABLE & DROPS IN WENGÉ. NOMAD IN VELVET MOSS & DOTS GREY. TOSCA ARMCHAIRS & DINING TABLE 240X98CM IN LINEN, CUSHIONS IN LINEN. TOSCA SOFA 163CM & SIDETABLE, CUSHIONS IN LUXURY DOLPHIN. OUTDOOR RUG IN LINEN. TOSCA LOUNGERS IN LINEN, CUSHIONS IN WASHED LINEN. Combining the natural beauty of high-quality plantation teak with a weave in refined grey or warm earthbrown Tricord, the Mood collection is styled with informal comfort and elegance. The supple, weather-resistant Tricord straps are handwoven around curved aluminium back frames, complementing the glow of precisioncut teak, finished with gently rounded corners. MOOD SOFA 232CM & CLUB CHAIRS IN EARTHBROWN, CUSHIONS IN LINEN SCISTO. DECO VELVET YELLOW, NATURAL SAFFRON, LINEN OYSTER & VELVET OYSTER. ILE SIDE TABLES IN WHITE & LINEN, Ã&#x2DC; 60CM H41CM. MOOD DINING TABLE 240X100CM & ARMCHAIRS IN EARTHBROWN, CUSHIONS LINEN SCISTO. MOOD CLUB CHAIR IN EARTHBROWN, CUSHIONS IN LINEN SCISTO. MOOD DAYBED (162X174CM) IN STONEGREY, CUSHION IN LUXURY WHITE, DECO LUXURY DOLPHIN, LUXURY WHITE, LUXURY BLUE. NOMAD MEDIUM IN ASHE , NOMAD LARGE IN LUXURY WHITE. The Vis à Vis collection in plantation teak invites relaxed conversation. The generous loungers connect around an integrated table, face to face or alongside each other. The chic modular sofa is defined by low-profile, slender teak platforms, topped with broad cushions held in place by invisible supports. Slatted sidetables can be attached to the base to extend its elegant lines. Matching chairs are upholstered in a light and airy Canax® weave. VIS À VIS SOFA SET 4 & DAYBED, CUSHIONS IN LUXURY CANVAS. BRANCH COFFEE TABLE IN WENGÉ/LINEN Ø 70CM H43CM & WHITE/GRANITE TOP Ø 85CM H27CM. VIS À VIS SOFA SET 10, CUSHIONS IN LUXURY CANVAS, DECO LINEN MIST & LINEN INDIGO. BRANCH COFFEE TABLE IN WHITE/LINEN TOP Ø 85CM H27CM. VIS Ã&#x20AC; VIS LOUNGERS, CUSHIONS IN LUXURY CANVAS. The Natal Alu sofa displays TribĂšâ&#x20AC;&#x2122;s design and technical skills with a slender, minimal frame and generous, water repellent sofa cushions. Twenty different modules with two different seat depths can be adapted to fit any space with refined elegance. The wide range in fabrics adds to the flexibility of this timeless design sofa. The Natal Alu dining chairs continue the theme with seats that appear to float within a light frame. NATAL ALU LOUNGERS & EASY CHAIRS IN WHITE. NOMAD SMALL IN NATTÃ&#x2030; SILVERGREY, MEDIUM IN LINEN MIST & LARGE IN LINEN INDIGO. NATAL ALU ARMCHAIRS & DINING TABLE 266X98CM IN WHITE/LINEN TOP. NATAL ALU SOFA SET 1A, CUSHIONS IN LINEN. NATAL ALU SOFA SET 1A, CUSHIONS IN LINEN, DECO IN CAMDEN EUCALYPTUS & CANVAS HAVANA BROWN. ILE SIDETABLES Ø 50CM H34CM & Ø 60CM H41CM, WHITE TOP. NOMAD SMALL IN ASHE, LARGE IN WASHED LINEN. OUTDOOR RUG IN LINEN. NATAL ALU SOFA MERIDIENNES IN WENGÉ, CUSHIONS IN RUSTIC WEAVE CORD, DECO CUSHIONS IN LINEN PINE GREEN & LEAF. MADAME LATOQUE LAMPS IN WENGÉ Ø 40 & 50CM. NATAL ALU SOFA SET 1A, CUSHIONS IN LINEN OYSTER, DECO CUSHIONS IN VELVET YELLOW, VELVET GREY & LINEN GREY. CTR CLUBCHAIR IN WENGÉ/WENGÉ, CUSHION IN LINEN OYSTER. BRANCH COFFEE TABLE Ø 70CM H27CM IN WENGÉ/CONCRETE LINEN. The Kos and Pure Sofa collection share the warmth of smooth Javanese plantation teak and a clean, simple design. The gentle curve of the Kos chairs and their deep seats provide an excellent seating comfort. The finely balanced proporÂ­tions of the Pure Sofa are offset by soft, deep sofa cushions, which come in two designs and an array of luxury outdoor fabrics. The five modular elements can be combined as deÂ­sired to create welcoming seating areas. KOS EASY CHAIRS, CUSHIONS IN CANVAS. PURE SOFA SET 3, CASUAL CUSHIONS IN LINEN, DECO IN LUXURY PUMPKIN & LUXURY SPICE. POUFS SMALL IN LUXURY PUMPKIN & LUXURY DOVE. PURE SOFA SET 2, MIAMI CUSHIONS IN LINEN, DECO IN NATTÃ&#x2030; OLIVE, CANVAS HAVANA BROWN & LINEN. KOS LOUNGERS & SIDE TABLES, CUSHIONS IN NATURAL SEASHELL. Just as sunlight filters through the branches of a tree, so it illuminates the Branch collection. Slender legs and lattice seats give Branch a lightness and delicacy, while the clever design and hi-tech materials make the collection highly comfortable and durable. â&#x20AC;&#x153;Branch strengthens the emotional connection with nature. It creates a feeling of respect and fascination with the natural environment,â&#x20AC;? says designer Manel Molina. BRANCH SIDECHAIRS, ARMCHAIR & DINING TABLE 300X110CM IN LINEN. BRANCH LOUNGER IN WENGÃ&#x2030;, CUSHION IN DOTS MOSS. BRANCH BEACH CHAIR IN WENGÃ&#x2030;, SEAT IN ASHE. BRANCH SIDECHAIR & DINING TABLE Ø 125CM IN WENGÉ, TABLETOP IN GRANITE. The Illum collection refines and reworks the essence of Scandinavian furniture design. Belgian design duo Merckx & Maes has created a line of finely proportioned pieces based on the pure and graceful curves of traditional wooden furniture. The collection is made of durable coated aluminium, allowing the designers to create a slender silhouette with a solid, weather-resistant metal. ILLUM ARMCHAIRS, BENCH & DINING TABLE 267X100CM IN WENGÉ/TEAK TOP. There is a quiet beauty in the modern chic Neutra collection, an attention to detail that becomes apparent beyond the first impression of the simply defined contours of each piece. Seamless triangular frames give the illusion of ultra-thin metal supports, while in a touch of sober elegance, the Batyline seats are discreetly edged with weather-proof faux leather. NEUTRA LOUNGER IN WHITE, HEADREST IN NATTÃ&#x2030; WHITE. NEUTRA EASY CHAIR IN WHITE, CUSHION IN CHALK. NEUTRA ARMCHAIRS IN WENGÉ, CUSHIONS IN LUXURY SEAL. ILLUM DINING TABLE 267X98CM IN WENGÉ/PIOMBO TOP. With minimalism the genius is in the detail. The clean lines of the Mirthe Collection appear to flow into each other seamlessly. Table legs fold perfectly around the table top and chair backs are an elegant curve sweeping down into the legs. Nothing is hidden in Mirtheâ&#x20AC;&#x2122;s vision. MIRTHE DINING TABLE 300X110CM & BENCHES 120CM IN WHITE, CUSHIONS IN NATTÃ&#x2030; WHITE. NATAL ALU ARMCHAIRS IN WHITE. MIRTHE LOUNGER IN WHITE, CUSHION & HEADREST IN NATTÃ&#x2030; WHITE. MIRTHE SOFA AND COFFEE TABLE IN WHITE. CUSHIONS IN NUBBY EBONY, DECO IN NUBBY EBONY, WASHED LINEN, NATTÉ WHITE & WASHED LINEN. Capture sunshine and shade with the Pavilion Daybed. The classic canopied bed has been updated with a slimline powdercoated aluminium frame. The daybed can be personalised with a choice of sheer curtain fabrics and paint finishes, while the back and ceiling come in teak slats, aluminium slats or Sunvision. The roof in Sunvision can be moved to enjoy the sun to the fullest. PAVILION DAYBED IN WHITE WITH ROOF AND BACK WALL IN TEAK. CUSHIONS IN NUBBY BLUE, DECO IN NATTÃ&#x2030; FOREST & CHALK. Belgian designer Ilia Eckardt grew up immersed in the Belgian fashion scene, experimenting with innovative knitting techniques and materials. His weatherproof, handmade globe and drop lights give a warm glow and cast beautiful shadows. Different shapes, textures and colours are the perfect ompliment to TribĂšâ&#x20AC;&#x2122;s furniture. Light and airy, the Nodi chair’s form and silhouette are characterized by twisted-interlaced rope in weather resistant Canax®, stretched across a precise geometric wireframe. Pared back, refined proportions and a minimalist approach to materiality lend a casual lightness to the collection. The slim profile of the arm is angled slightly inward in a welcoming gesture. AVAILABLE COLOUR COMBINATIONS, SEE PRICE LIST. CTR is characterised by a tube in powdercoated stainless steel that follows the outline of the chair in one continuous line. The woven backrest is attached at only 2 points to the frame, resulting in a flexible backrest that ensures an outstanding back support. The yarn in polyolefin resists all weather conditions, but has nevertheless a surprisingly natural look & feel. The seat is upholstered with a water-repellent cushion which can be easily removed. A slender and light frame in aluminium with nevertheless a very solid stability thanks to the technique of high pressure injection. A double layer of ultra durable powdercoating ensures maximal scratch resistance. Excellent seating comfort thanks to the anatomic resilience of the back. The back and seat are made of reinforced, mass dyed polypropylene with an excellent UV resistance. The outdoor translation of the archetypical Scandinvian design with materials that resist all weather conditions. The beautifully sculptured back in aluminium is completely seamless thanks to the technique of high pressure injection. Dual powdercoating ensures optimal scratch and UV resistance. The seat in Batyline® provides an excellent seating comfort. The combination of the broad slats and the pure but powerful design of the Kos chair, reinvents teak in a modern way. Thanks to the ergonomically formed back, the chairs provide an excellent seating comfort. 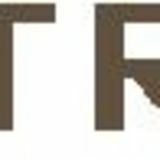 Tribù uses only the very best plantation wood from East-Java. Every log is handpicked during the cutting process of the tree. Minimalism with a playful twist. The chair has been designed from a single surface and is made of 6mm bent plate aluminium which creates the effect of one flowing line. The back legs move seamlessly up to the back. Available with or without armrests and stackable for easy storage. A collection of impeccable class and strong charisma. The straight lines of the aluminium frame contrast beautifully with the flowing, curved seat in Batyline®. The frame is powdercoated with ultra-durable structure lacquer for a nice matte look. Batyline® from Ferrari is renowed for its exceptional tear strength and dimensional stability, ensuring it will keep its shape along with its colour. The classic director’s chair has been given a leading role in Monica Armani’s refined interpretation. This perfectly balanced chair combines high-tech materials and meticulous attention to detail. The lattice back has the natural look and tactile appeal of rope. It is handwoven using an innovative weather-resistant fibre, also used to covers the armrests. The use of powdercoated stainless steel for the arms and backrest allows them to be slim and elegant yet very strong. The slender legs are made of powdercoated aluminium. Sober elegance and timeless simplicity with a pronounced sense of detail. The aluminium frame of the chair has a triangular profile that creates the illusion of an extra thin line and is completely weldless, thanks to the technique of high-pressure injection. Dual powdercoating ensures optimal scratch and UV resistance. The seats are made of Batyline® with a seam in weather- resistant, artificial leather. An elegant seating shell in powdercoated stainless steel is upholstered with an extra- large, vertical weave, developed exclusively by Tribù. A great deal of research resulted in a unique product with a natural and soft appearance, that is nevertheless 100% weatherproof. A combination of textilene and Tricord (polyolefin) is knitted over a tube of EPDM foam without any visible joint. The material is fungi resistant, stain repellent and does not fade. A combination of excellent ergonomic seating comfort with a soft, natural look. The teak, coming from plantations in East-Java, has rounded corners to ensure a pleasant touch with your skin. Every log is handpicked during the cutting process of the tree. The frame is upholstered with an airy weave in Canax® straps (polyester coated with a mix of solution dyed PVC and natural hemp) that are UV and mildew resistant. A cosy design in warm, natural materials. The innovative Tricord® yarn has been designed exclusively for Tribù. The polyester core provides strength and stability, while the combination of nautical fibres (polyolefin) create a surprisingly soft look and touch, ensuring nevertheless resistance to all outside influences : frost, water, fungi and UV-rays. The backs can be replaced separately. The combination of the broad slats and the pure but powerful design, reinvents teak in a modern way. Tribù uses only the very best plantation wood from East-Java. Every log is handpicked during the cutting process of the tree. Its beautifully finished round edges gives the Mood bench a friendly and soft look. The teak is of the best quality you can find. Only Agrade wood, grown in sustainably managed plantations in East-Java is used. Every log is handpicked during the cutting process of the tree. The Illum bench with its slim legs is kept pure and simple. For the seat in teak only A-grade teak from plantations in East-Java is used. The frame in aluminium has a dual powdercoating to guarantee optimal scratch and UV resistance. Minimalism with a playful twist. The legs are welded seamlessly in the length in an angle of 90° and are integrated in the seat in a curved line to create a soft, friendly look. A slender frame in aluminium with nevertheless a very solid stability thanks to the technique of high pressure injection. An epoxy primer finished with an ultra durable polyester coating ensures maximal weather and scratch resistance. A slender frame in aluminium with nevertheless a very solid stability thanks to the technique of high pressure injection. An epoxy primer finished with an ultra durable polyester coating ensures maximal weather and scratch resistance. The contract tables exist in a square and a round design. A slender frame in aluminium with nevertheless a very solid stability thanks to the technique of high pressure injection. An epoxy primer finished with an ultra durable polyester coating ensures maximal weather and scratch resistance. For the table top in teak Tribù uses only the very best plantation wood from East-Java. Every log is handpicked during the cutting process of the tree. The Natal Alu tables combine functionality and aesthetics in a contemporary design. The ultradurable structure lacquer contributes to an unexpected weather resistance, protects the furniture against scratches and provides a nice matte finish. The ceramic top is coloured in the mass and is laminated on a layer of glass according to a specially developed lamination process, ensuring extra safety. The Natal Alu tables combine functionality and aesthetics in a contemporary design. The ultradurable structure lacquer contributes to an unexpected weather resistance, protects the furniture against scratches and provides a nice matte finish Tribù uses only the very best plantation wood from East-Java. Every log is handpicked during the cutting process of the tree. The combination of the broad slats and the pure but powerful design, reinvents teak in a modern way. Tribù uses only the very best plantation wood from EastJava. Every log is handpicked during the cutting process of the tree. The Vis à Vis table is characterized by solid square slats with slightly rounded corners. The teak is of the best quality you can find. Only A-grade wood, grown in sustainably managed plantations in East-Java is used. Every log is handpicked during the cutting process of the tree. The basis of the table concept are tables of 99x99cm that can be attached to each other with invisible profiles to an unlimited length. From a length of 500cm or more, a third leg will be added. The Illum table with its slim legs is kept pure and simple. It is available in two widths: the standard 98 cm and a more narrow version of 71 cm, the ideal solution for smaller patios and balconies. The frame in aluminium has a dual powdercoating to guarantee optimal scratch and UV resistance. The ceramic top is coloured in the mass and laminated on a layer of glass according to a specially developed lamination process, ensuring extra safety. The Illum table with its slim legs is kept pure and simple. It is available in two widths: the standard 98 cm and a more narrow version of 71 cm, the ideal solution for smaller patios and balconies. The frame in aluminium has a dual powdercoating to guarantee optimal scratch and UV resistance. For the table top in teak Tribù uses only the very best plantation wood from East-Java. Every log is handpicked during the cutting process of the tree. Its beautifully finished round edges gives the Mood table a friendly and soft look. The teak is of the best quality you can find. Only Agrade wood, grown in sustainably managed plantations in East-Java is used. Every log is handpicked during the cutting process of the tree. Minimalism with a playful twist. The legs are welded seamlessly in the length in an angle of 90° and are integrated in the top in a curved line to create a soft, friendly look. The frame, made out of one aluminium plate with a 6 mm thickness, is powdercoated with ultra- durable structure lacquer for optimal weather and scratch resistance, and a nice matte look. The Tosca tabletop consists of ceramic laminated on glass, water jetted in an oval shape and then CNC-milled. The delicately clouded pattern is coloured in the mass. Together with the round shape of the table legs in powdercoated stainless steel this exceptional oval shape gives the table a very high-end look. The elegant Nox table features a top from handcrafted glazed lava stone. The stone’s reflective nature and natural imperfections add a unique quality to the table. Once glazed, the stone is both heat, water, UV and stain resistant. Despite the heavy stone top, the table has a slender structure thanks to the strength of the durable frame in powdercoated stainless steel. Still water disturbed by a breeze is the visual reference for the TTable. The light-reflective, hand crafted glazed lava stone top mirrors the sky and adds a unique quality with its naturally occurring imperfections. The glazing, adorned with a subtle crackle finish, makes the stone heat, water, UV and stain resistant. The pure and simple form of the T-Table is designed to fit harmoniously with other furniture in the Tribù collection. The elegant Tao table collection is a lesson in perfectly balanced contrasts – bold sculptural pedestals and slim table tops that are pleasing to the touch. Designer Monica Armani has used refined lightened concrete to give a look of elegant solidity. The dining table has a central pedestal, which supports a finely milled round table top. The Tao tables come in natural linen and warm wengé tones to create striking centrepieces for any setting. Minimalism with a playful twist. The chair has been designed from a single surface and is made of 6mm bent plate aluminium which creates the effect of one flowing line. The easy chair is adjustable into 2 positions. A collection of impeccable class and strong charisma. The straight lines of the aluminium frame contrast beautifully with the flowing, curved seat in Batyline®. The frame is powdercoated with ultra-durable structure lacquer for a nice matte look. Batyline® from Ferrari is renowned for its exceptional tear strength and dimensional stability, ensuring it will keep its shape along with its color. The combination of the broad slats and the pure but powerful design of the Kos easy chair, reinvents teak in a modern way. Thanks to the ergonomically formed back, the chairs provide an excellent seating comfort. Tribù uses only the very best plantation wood from East-Java. Every log is handpicked during the cutting process of the tree. A cosy design in warm, natural materials. The innovative Tricord® yarn has been designed exclusively for Tribù. The polyester core provides strength and stability, while the combination of nautical fibres (polyolefin) create a surprisingly soft look and touch, ensuring nevertheless resistance to all outside in uences : frost, water, fungi and UV-rays. The backs can be replaced separately. A subtle frame with attractive, curved armrests contrasts beautifully with the volume of the outdoor cushions which are supported by a weave in broad textilene straps. The aluminium frame of the armchair is powdercoated with ultra durable structure lacquer. The outdoor cushions can be left outside, even in the rain. The ventilating filling is covered with a waterproof, laminated polypropylene cover which is water resistant. All stitches have an extra inside cover to prevent water from penetrating. Sober elegance and timeless simplicity with a pronounced sense of detail. The aluminium frame of the chair has a triangular profile that creates the illusion of an extra thin line and is completely weldless, thanks to the technique of highpressure injection. Dual powdercoating ensures optimal scratch and UV resistance. The seats are made of Batyline® with a seam in weatherresistant, artificial leather. An elegant seating shell in powdercoated stainless steel is upholstered with an extra-large, vertical weaving, developed exclusively by Tribù. A great deal of research resulted in a unique product with a natural and soft appearance, that is nevertheless 100% weatherproof. A combination of textilene and Tricord (polyolefin) is knitted over a tube of EPDM foam without any visible joint. The material is fungi resistant, stain repellent and does not fade. Pure Sofa reduces design to the essence, devoid of all excess: pure simplicity and elegance. Tribù uses only the very best plantation wood from East-Java. Every log is handpicked during the cutting process of the tree. Cushions are available in 2 different designs. An outdoor sofa characterised by extra thick, UV-resistant outdoor cushions, kept in place by subtle, varnished aluminium shells. You can arrange your own personal concept simply by using the three basic elements. The dryfoam cushion fillings have an open cell structure, allowing air to circulate freely. Water passes through the filling but dries quickly thanks to the large open pores. An elegant seating shell in powdercoated stainless steel is upholstered with an extra-large, vertical weaving, developed exclusively by Tribù. A great deal of research resulted in a unique product with a natural and soft appearance, while being nevertheless 100% weatherproof. A combination of textilene and Tricord (polyolefin) is knitted over a tube of EPDM foam without any visible joint. The material is fungi resistant, stain repellent and does not fade. A subtle frame with attractive, curved armrests contrasts beautifully with the volume of the outdoor cushions which are supported by a weave in broad textilene straps. Thirteen different modules compose the outdoor sofa of your liking. The aluminium frame of the sofa is powdercoated with ultra durable structure lacquer. The outdoor cushions can be left outside, even in the rain. The ventilating filling is covered with a laminated polypropylene cover which is water resistant. All stitches have an extra inside cover to prevent water from penetrating. Pure Sofa reduces design to the essence, devoid of all excess: pure simplicity and elegance. This modular outdoor sofa consists of five elements that combine easily into a corner sofa, a long couch or a lounge bed. Tribù uses only the very best plantation wood from East-Java. Every log is handpicked during the cutting process of the tree. Cushions are available in 2 different designs. Curl up and relax on the modular Senja sofa. Combine a one-, twoor three-seater module with high or low arms and keep everything you need to hand with an integrated table, console or side table in teak or glazed lava stone. Senja comes with regular seat cushions or an ultra-deep variant to curl up on. With a choice of 110 weatherresistant fabrics, Senja lets you create the sofa you want, tailored to your personal style. An elegant series of coffee tables that, thanks to the variety of colours and materials, can complement different sofa types. The slightly tapered, slimline legs in powdercoated aluminium combine with a circular or rectangular tabletop and are available in different heights. This offers the opportunity to create enriching combinations with different colours and different organic materials such as teak, granite and lightened concrete. The elegant Tao table collection is a lesson in perfectly balanced contrasts – bold sculptural pedestals and slim table tops that are pleasing to the touch. Designer Monica Armani has used refined lightened concrete to give a look of elegant solidity. The coffee table plays tricks with symmetry by setting the finely milled square table top off centre. The Tao tables come in natural linen and natural wengé tones to create striking centrepieces for any setting. The C-table is a smart passepartout side table that will suit many collections. The aluminium version is powdercoated with ultra-durable structure lacquer for optimal weather and scratch resistance, and a nice matte look. The C-table in teak is made of the best quality you can find. Only Agrade wood, grown in sustainably managed plantations in East-Java is used. The Natal Alu X-tables in aluminium combine functionality and aesthetics in a contemporary but timeless design. With different possibilities in shape, colours, heights and dimensions, you will always find the perfect coffee table for your setting or you can create elegant combinations. Minimalism with a playful twist. The legs are welded seamlessly in the length in an angle of 90° and are integrated in the top in a curved line to create a soft, friendly look. The frame, made out of one aluminium plate with a 6 mm thickness, is powdercoated with ultra-durable structure lacquer for optimal weather and scratch resistance and a nice matte look. Its beautifully finished round edges gives the Mood table a friendly and soft look. The teak is of the best quality you can find. Only A-grade wood, grown in sustainably managed plantations in East-Java is used. Every log is handpicked during the cutting process of the tree. The slim, angular frame of the Fold sidetable combines functionality with flexibility and is designed with a strong sense for detail. The perforated top is folded down the legs. The frame is made of stainless steel, powdercoated with ultra durable structure lacquer for a nice matte look. The Drops sidetables are inspired from the concentric circles that are formed by falling raindrops. The 3 different heights allow you to create a visual game that is even more enhanced by the connection you can make between the moon-shaped bases of the tables. The frame in aluminium is powdercoated with ultra- durable structure lacquer. The Pure Sofa coffee table is a functional low table, with a frame in high-quality teak from plantations in East-Java and a top in ceramic. Ceramic is an ideal outdoor material, it is frost, UV, stain and scratch resistant. The ceramic tops are available in several natural tones with a beautiful cloudy pattern. The elegant, tapered legs and the unique rounded form of the table top, gives the Tosca coffee table a very high-end look. The scratch and stain resistant ceramic top with delicately clouded pattern is coloured in the mass and laminated on glass to provide extra rigidity. The legs in stainless steel, powdercoated with ultra-durable lacquer provide for an exceptional stability. Still water disturbed by a breeze is the visual reference for the T-Table. The light-reflective, hand crafted glazed lava stone top mirrors the sky and adds a unique quality with its naturally occurring imperfections. The glazing, adorned with a subtle crackle finish, makes the stone heat, water, UV and stain resistant. The pure and simple form of the T-Table is designed to fit harmoniously with other furniture in the Tribù collection. The rugged basalt columns of the Giant’s Causeway in Northern Ireland were the inspiration for the Hexagon side table. It comes in a variety of heights and sizes, like the basalt columns, which makes a strong statement when grouped together. The sturdiness and pure symmetry of honeycomb also influenced these teak side tables. Hand crafted glazed lava stone, each piece unique and available in a selection of 2 colours, adds to the bold, natural look. The Ile sidetables combine functional qualities with a simple, but warm, aesthetic design. The tapered legs are made of A-grade teak from plantations in East-Java. The top in aluminium is powdercoated with ultra-durable structure lacquer. The different heights and shapes can be combined in a versatile way and will blend into many environments. The Vis à Vis coffee table is characterized by solid square slats with slightly rounded corners. The teak is of the best quality you can find. Only A-grade wood, grown in sustainably managed plantations in East-Java is used. Every log is handpicked during the cutting process of the tree. The coffee tables have the same square slats as the sofa borders and can stand alone or be attached to the sofa. A cosy design in warm, natural materials. The innovative Tricord® yarn used for the back of the bar stool has been designed exclusively for Tribù. The polyester core provides strength and stability, while the combination of nautical fibres (polyolefin) creates a surprisingly soft look and touch, ensuring nevertheless resistance to all outside influences : frost, water, fungi and UV-rays. The backs can be replaced separately. The beautifully finished round edges of the party table gives it a friendly and soft look. The teak is of the best quality you can find. Only Agrade wood, grown in sustainably managed plantations in East- Java is used. Minimalism with a playful twist. The legs of the Mirthe party table and bar stool are welded seamlessly in the length in an angle of 90° and are integrated in the top in a curved line to create a soft, friendly look. The frame, made out of one aluminium plate with a 6 mm thickness, is powdercoated with ultra-durable structure lacquer for optimal weather and scratch resistance and a nice matte look. The table also fits over a dining table to serve as a buffet table. The well-studied ergonomic design of the Kos teak bar stool provides for excellent seating comfort. Tribù uses only the very best plantation wood from EastJava. Every log is handpicked during the cutting process of the tree. The Illum bar table with its slim legs is kept pure and simple. The frame in aluminium has a dual powdercoating to guarantee optimal scratch and UV resistance. The ceramic top is coloured in the mass and laminated on a layer of glass according to a specially developed lamination process, ensuring extra safety. The Illum table with its slim legs is kept pure and simple. The frame in aluminium has a dual powdercoating to guarantee optimal scratch and UV resistance. For the table top in teak Tribù uses only the very best plantation wood from East-Java. Every log is handpicked during the cutting process of the tree. The Forum lounger is light, yet made of a very steady aluminium construction, and provides an excellent seating comfort. The frame in aluminium is powdercoated with ultra-durable structure lacquer for a nice matte look. The seat is made of Batyline which is reputed for its durability, UV resistance and lasting high tension. The Illum lounger not only inclines, but also lowers itself to offer an unmatched comfort, while all the mechanics involved – a newly developed pump system - are astutely hidden away. The frame is made of aluminium, powdercoated with a double layer of ultra- durable structure lacquer for a nice matte look. A seat in Batyline guarantees a lasting high tension and an excellent resistance to UV rays, dirt and fungi. The combination of the broad slats and the pure, but powerful design of the Kos lounger reinvents teak in a modern, robust way. Tribù uses only the very best plantation wood from East-Java. Every log is handpicked during the cutting process of the tree. The lounger is adjustable into positions 5 positions and has wheels with non-marking rubber. The extra broad Pure Light lounger combines the natural look of teak with easy- maintance Batyline, which makes it an ideal furniture in surroundings of swimmingpools, beaches, spa’s etc. The border in teak from plantations in East-Java serves as an extra side table. Thanks to the open weave, the Batyline dries rapidly. It has an excellent resistance to UV rays, a lasting high tension and is dirt- and fungi repellent. CTR is characterised by a tube in powdercoated stainless steel that follows the outline of the meridienne in one continuous line. The woven backrest, attached at only 2 points to the frame, ensures an outstanding back support while the slightly inclined base ensures relaxed seating. The yarn in polyolefin used for the weave, resists all weather conditions, but has nevertheless a surprisingly natural look & feel. The seat is upholstered with a water-repellent cushion which can be easily removed. Light and airy, the silhouette of the Nodi lounger is characterized by twisted-interlaced rope in weatherresistant Canax®, stretched across a precise geometric wireframe. Pared back, refined proportions and a minimalist approach to materiality lend a casual lightness to the lounger. The armrests add extra comfort. The adjustable Natal Alu lounger is generously sized with a Batyline seat and sturdy wheels. The aluminium frame is powdercoated with ultra-durable, UV- and scratch resistant structure lacquer for a nice matte look. Batyline® from Ferrari is renowned for its exceptional tear strength and dimensional stability, ensuring it will keep its shape along with its colour. Minimalism with a playful twist, the Mirthe collection has everything that goes with a typical Tribù furniture piece : pure, clean lines, timeless. The lounger is made out of 6mm bent plate aluminium: robust, completely recyclable, easy to clean and ideal for outdoor use. Ultra-durable structure lacquer provides a nice matte look. Elegantly tapered legs and a crisp, clean silhouette define the Branch lounger. The slender frame is made of high pressure injected aluminium, a specialised technique that makes the lounger incredibly strong yet surprisingly light. Powdercoating the frame with a double ultra-durable lacquer adds a high performance finish. The Branch lounger can be stacked up to 14 pieces high, making it ideal for the hospitality sector. Sober elegance and timeless simplicity with a pronounced sense of detail. The aluminium frame has a triangular profile that creates the illusion of an extra thin line and is completely weldless, thanks to the technique of high-pressure injection. Dual powdercoating ensures optimal scratch and UV resistance. The seat is made of Batyline® with a seam in weatherresistant, artificial leather. A low frame in powdercoated stainless steel is upholstered with an extra-large, vertical weave, developed exclusively by Tribù. A combination of textilene and Tricord (polyolefin) is knitted over a tube of EPDM foam without any visible joint. The material which has a natural look and feel, is nevertheless fungi resistant, stain repellent and does not fade. When Cazzaniga started to design the Vis à Vis lounger, he thought of a place where people could be outside and communicate with each other in total comfort. Result was a sunbed with royal dimensions and a handy integrated tabletop that is designed in a way that two loungers fit into each other. Thanks to the flexible bed base, you can lie either next to each other or opposite each other. The teak from plantations in East-Java has rounded corners to ensure a pleasant touch with your skin. Every log is handpicked during the cutting process. The Kos daybed has various applications: opened out it is a lounge island with welcoming dimensions. In the evening you fold up the backrest and it turns into a sofa with a deep seat. Tribù uses only the very best plantation wood from East-Java. Every log is handpicked during the cutting process of the tree. A cosy design in warm, natural materials. The innovative Tricord® yarn has been designed exclusively for Tribù. The polyester core provides strength and stability, while the combination of nautical fibres (polyolefin) creates a surprisingly soft look and touch, ensuring nevertheless resistance to all outside influences : frost, water, fungi and UV-rays. The backs can be replaced separately. The comfortable outdoor cushion can be left outside, even in the rain, thanks to the ventilating filling in a waterproof cover. Capture sunshine and shade with the Pavilion daybed, designed by Monica Armani. The classic canopied bed has been updated with a slimline powdercoated aluminium frame. The daybed can be personalised with a choice of sheer curtain fabrics and paint finishes, while the slats and ceiling come in teak, aluminium or Sunvision. The super-strong Batyline seat lining can be used alone or with 2 comfortable outdoor cushions and can be further customised with a detachable side table. An elegant seating shell in powdercoated stainless steel is upholstered with an extra- large, vertical weave, developed exclusively by Tribù. A great deal of research resulted in a unique product with a natural and soft appearance, that is nevertheless 100% weatherproof. A combination of textilene and Tricord (polyolefin) is knitted over a tube of EPDM foam without any visible joint. The material is fungi resistant, stain repellent and does not fade. The comfortable outdoor cushion can be left outside, even in the rain, thanks to the ventilating filling in a waterproof cover. With the lanterns made of thermically strengthened 4mm glass in a teak wooden frame, you can make your evenings extra cosy. Create variation by mixing the 2 available sizes with the base in teak. The subtle handle in Canax® rope allows easy lifting. This outdoor accessory with a primal look is made of one massive piece of teak and therefore very exclusive. Cracks and even wholes in the wood, bring about its charm, making every piece unique. Conceived for the outdoors, the Nomad poufs are totally waterproof thanks to a draining structure consisting of EPS, upholstered with dryfoam. They are slightly raised from the ground by three little feet attached to a base in marine grade plywood. The Nomad poufs are available in a range of no less than 70 different outdoor fabrics. The fluffy design of these irresistable poufs, transform your terrace in an extra cosy place in just a minute. Thanks to the three dimensions with different heights you can make beautiful combinations. The poufs have a weather resistant filling. As for the fabric, you can choose from a range of no less than 70 different outdoor fabrics. The outdoor rugs are made of 100% solution dyed PVC coated polyester which makes them comfortable for barefoot and perfectly resistant to sun, rain and mildew. With their natural colours, the carpets give the patio a warm and homely cosiness and make the atmosphere complete. The carpets are available with and without fringes.